American entrepreneur Audrey Cheng came to Kenya in 2014 to work for Savannah Fund, a seed-capital investor that focuses on early-stage technology startups in sub-Saharan Africa. While interacting with Kenyan startups, Cheng noticed that tech businesses were struggling to find software developers to hire, and that coding schools, while common in the US, hadn’t yet arrived in Kenya. So, in April 2014, Cheng and her co-founder Frank Tamre established Moringa School, a Nairobi-based coding accelerator with a direct education-to-employment model. Moringa offers a four-month web and mobile development course in partnership with San Francisco-based coding school Hack Reactor. Another division, the Junior Moringa School, provides a two-week introductory training programme for beginners. “Right now there is a high barrier to entry. When people think of programming they assume it’s not for them. So the beginners course is to get people from different backgrounds excited about programming,” says Cheng. She notes that, thanks to the popularity of technology, there is a growing interest locally in IT-related education, as well as a demand for skills among existing tech companies. “We attract students who have strong math skills, logic, common sense and a good personality. Most of all, they are passionate about software development. We get recent high school and college graduates, university students, and even people who want to change their careers,” says Cheng. A journalism and global health graduate, Cheng initially worked in media before crossing over to working with US tech companies. Her newfound interest in technology and entrepreneurship led her to Savannah Fund, where she began working pro bono in Chicago, before moving to Kenya in 2014. Last month Cheng was named one of five winners of the World Economic Forum’s Africa Top Women Innovators Challenge 2016. Although she would have had more access to resources and mentors in the US, Cheng says that she finds running a business in Kenya more attractive. One of the things Cheng has found interesting about the Kenyan market is how much people value academic certificates. Cheng explains that, while breaking that barrier is difficult with a four-month programme, the Moringa model is actually effective. “It’s a different way of thinking about education and it will take time for people to understand it. The thing is employers don’t actually care about certificates. They are more concerned about the skills and knowledge,” she says. Cheng describes the experience of running her business as challenging, but rewarding. 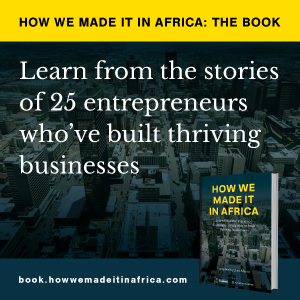 As a foreign entrepreneur, she makes sure to constantly learn and understand the local culture and ecosystem, as well as how to run a company in Kenya. “I have seen some Western entrepreneurs come in and make assumptions about this market that aren’t true. I think trust is huge here. And word of mouth is especially strong,” Cheng says. She notes that networks are really important and explains that her biggest focus when she arrived in Kenya was building one of her own.